Please be patient, this may take a moment. 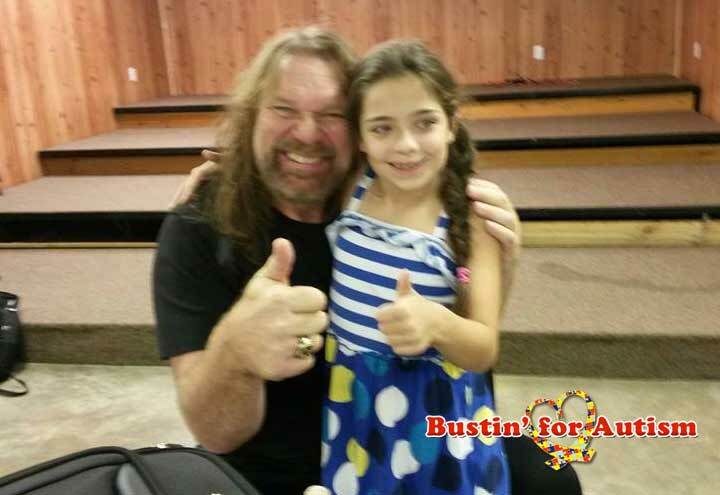 Bustin4Autism was started to sponsor special needs children to send them to Fun special needs camps. All the while we are in the process of supporting privately funded programs. Our Goals will take time & money, but with your help & support, we can do this together and together benefit our children by giving them the quality life they deserve. Every one of these causes are close to my heart My beautiful daughter is on the autism spectrum, she has been in special programs since she was 2, because it was detected early, every teacher she encountered was instrumental in her life and success and has taught me as well. I would like to sponsor kids to this camp and donate as much as I can to aid these special programs and people that are very passionate, understanding and really care about our children! This is what Bustin4Autism is really about! 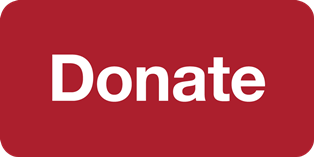 Show your support for any one of our causes, or ALL, by donating to causes close to YOUR heart! 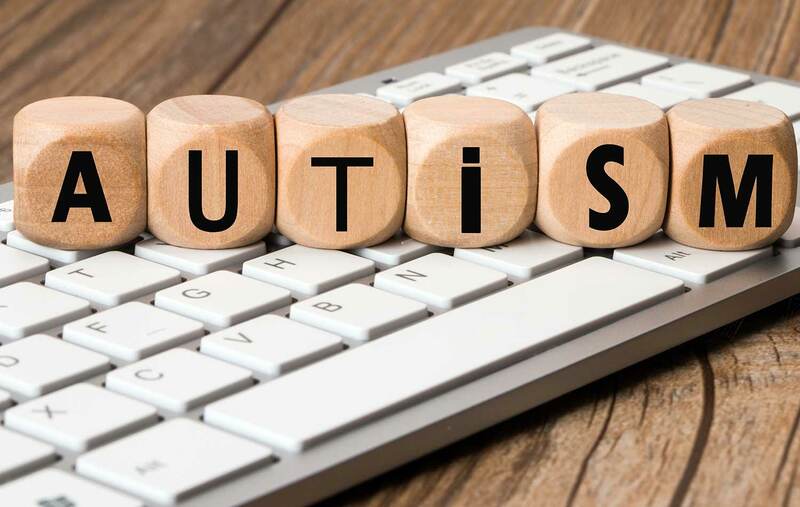 Important note: The Bustin4Autism members do not directly or indirectly use telemarketers or verbally solicit donations via the telephone. 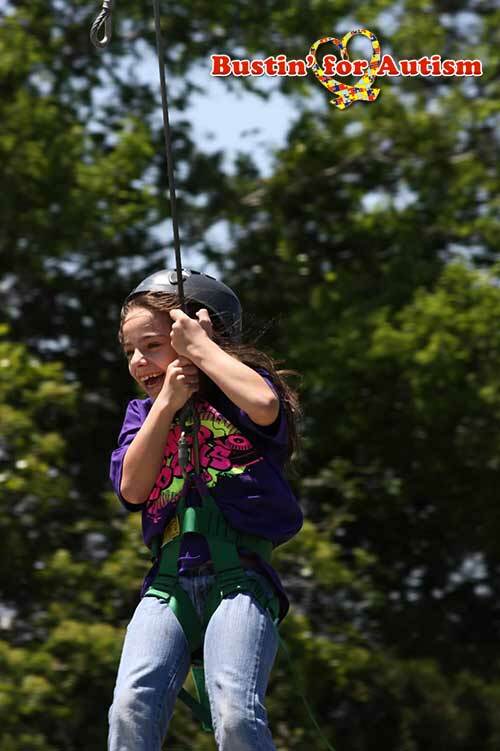 Each year, we are able to present several wonderful events that not only help set the financial foundation for our cause but provide wonderful family friendly events for our children to enjoys safely, along with their siblings and parents. We certainly could not do this alone and through the amazing generosity of our event and foundation sponsors, that we are able to continue to grow year after year, enabling to continue to help support those in need more and more! 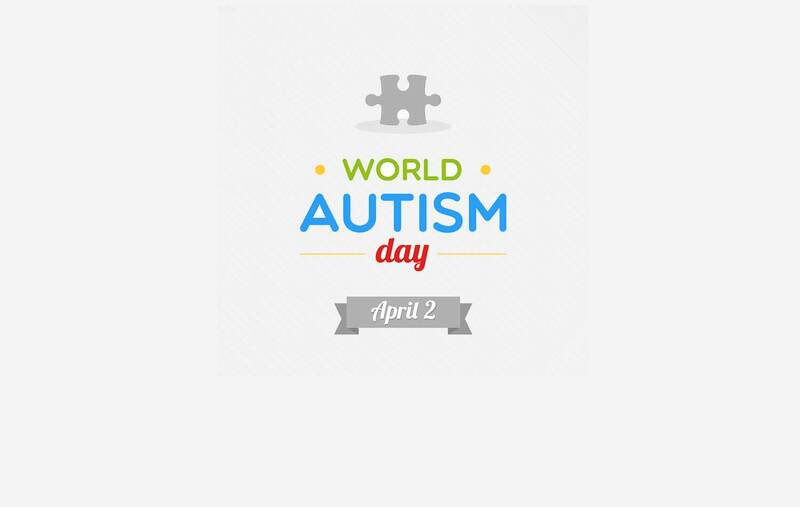 We would like to take this opportunity to Thank our past and current sponsors, and let them know how important they are to Bustin4Autism and the Autism Awareness community. If you are interested in becoming a sponsor, please don't hesitate to Contact Us! We really appreciate the support both big and small! 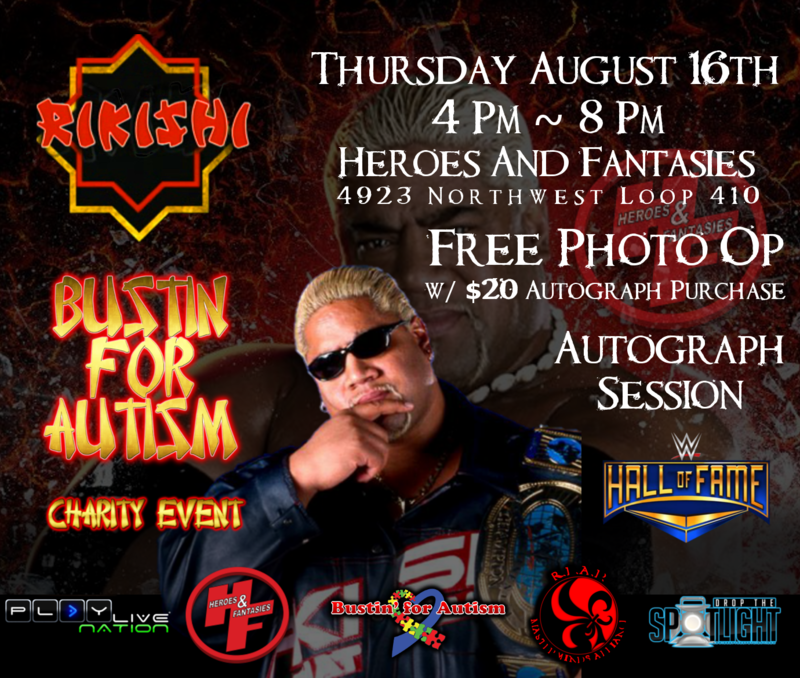 Drop the Spotlight and Bustin4Autism present Making a Difference with WWE HOF Rikishi at Heroes & Fantasies, 4923 Northwest Loop 410, San Antonio, TX 78229. Come out for an Autograph Session with WWE HOF Rikishi; Free Photo Opportunity w/ $20 Autograph Purchase. Lions Pride Sports and Bustin4Autism invade the Grimes County Expo Center in Navasota, Tx on May 19 as we present the sports entertainment super show, “TEXAS TAKEOVER”! See all of your favorite superstars including Rikishi, Billy Gunn, Gangrel, Snitsky, MVP, Shane Douglas, Veterans Of War, Mike Dell, Lance Hoyt, SuperTex, and MANY MORE! Ticket information coming soon! 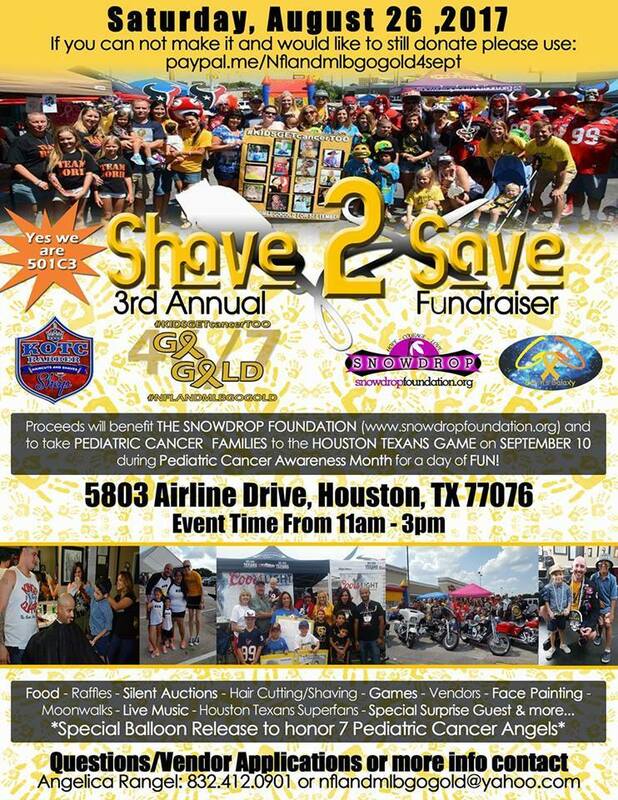 Please join us for Haircuts /Shaving $10 donation, games, Snowcones, music, Food, Raffles, Vendors, Moonwalk, Houston Texans Superfans, Silent Auction, Face painting, honor 7 childhood cancer angels AND MORE! #NFLandMLBGoGold For September will be having our 3rd Annual SHAVE TO SAVE fundraiser on August 26, 2017 joined by GAVINS GALAXY ORGANIZATION and with us coming TOGETHER this year we will be making this a bigger SUCCESS. 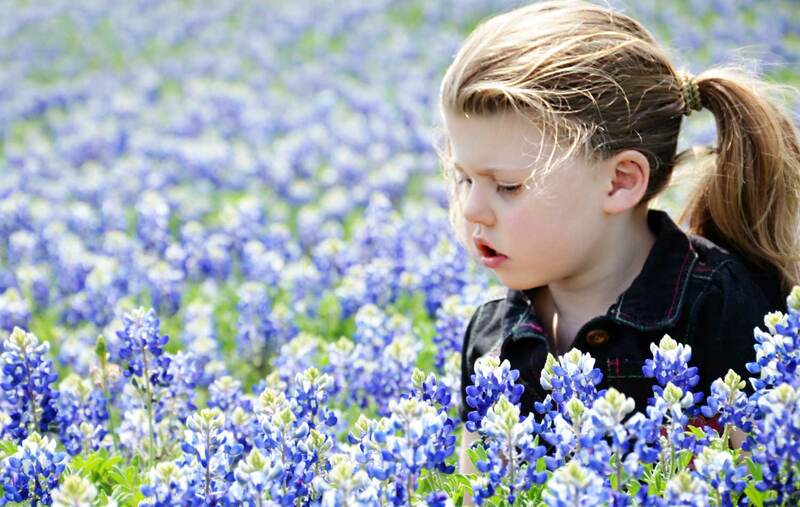 Proceeds from the 3rd Annual SHAVE TO SAVE fundraiser will help benefit the SNOWDROP FOUNDATION AND taking pediatric cancer families to the Houston Texans game on September 10 during pediatric cancer awareness month. The 5th Annual JJ Watt Charity Classic will take place on Saturday, May 13, 2017, at Minute Maid Park in Houston, TX. The JJ Watt Charity Classic will feature defensive and offensive players from the Houston Texans competing on opposing teams in a softball game. Events will kick off with a home run derby at 6 p.m., softball game at 7 p.m. and a fireworks display to end the night (weather permitting). In addition, the event will feature a silent auction with items such as autographed apparel, autographed game-day memorabilia and an “experience package” to sit in the dugout during an inning. JJ Watt merchandise will also be available for sale. This nationwide walk program focuses on community and puts the FUN in fundraising! Join us at a Walk for Victory near you and help us raise awareness and advance our life-saving work. Grab a friend, join a team, or make your own team and get ready for some fun in the sun. Enjoy a leisurely walk with other affected families and friends and then celebrate with some snacks, music, games, and prizes. Want to become a sponsor of these events and support our cause? Bustin4Autism is about fun, and more importantly... all about a safe environment for the children have fun. Sponsorship is tax deductible and will help allow us to continue adding to the amazing collection of Wrestling and Celebrity Guests! Check Out Our New SquareUp Market! 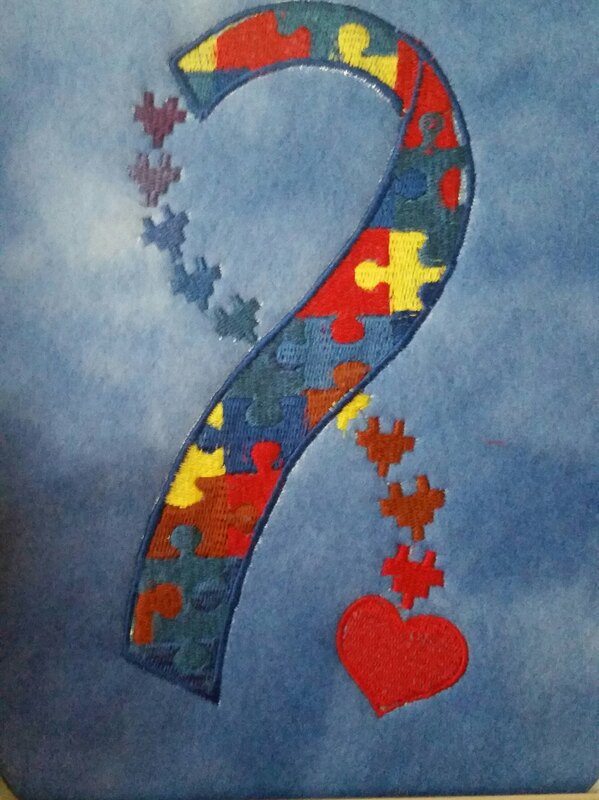 Some of Our Bustin4Autism Fundraising Products! Please feel free to use the form below to contact us with any Questions, Comments or Requests!